Tech consultancy firm Capgemini is calling for start-up applicants for its InnovatorsRace50 competition – with the chance to win equity-free funding of $50,000. 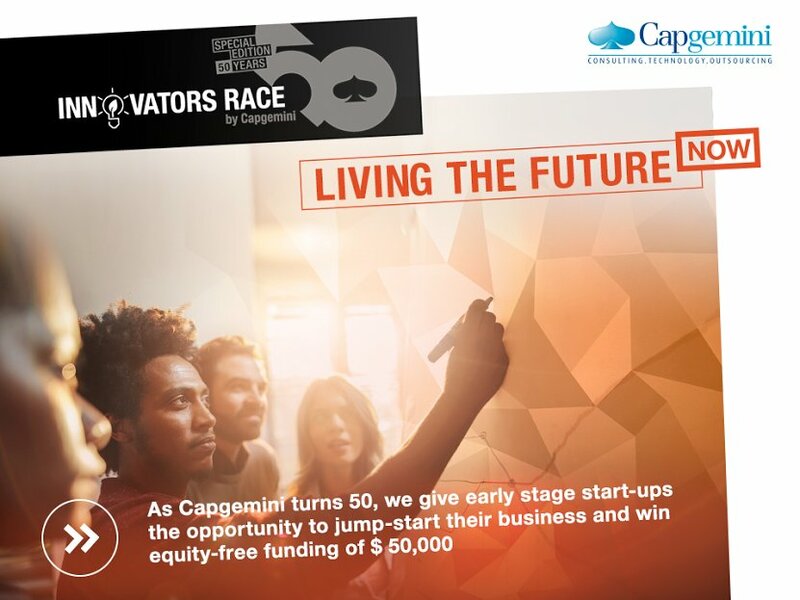 To celebrate 50 years since its launch, Capgemini’s InnovatorsRace50 wants entrepreneurs and “disruptive early-stage start-ups” to apply. The top five businesses, one from each theme, will win equity-free funding of $50,000 each. Applicants will pitch their start-up in a global competition and get a chance to meet industry and technology experts from Capgemini and other brands. Data and security: Using big data management solutions and analytics or working on cybersecurity. You can apply online here. Applications close 28 February 2017. In March, the top 50 candidates will be selected by jury, online voting and Capgemini employees. In April, these will be whittled down to ten finalists by jury and after “in-depth interviews” with Capgemini and industry experts. From April to June, ten finalists will get access to Capgemini’s “applied innovation exchange” experts. On 5 October, the five winners, one per theme, will be announced. HSBC France is in the process of replacing its legacy core banking system with SAB AT, provided by local vendor SAB. Facing disruption from fintech providers, traditional banks must embrace APIs and the open-source model to avoid losing their place at the centre of consumers’ financial lives, a new report warns.